Your Dog. Sunglasses. You Know What to Do. I think he is extra cool cause he is smoking. 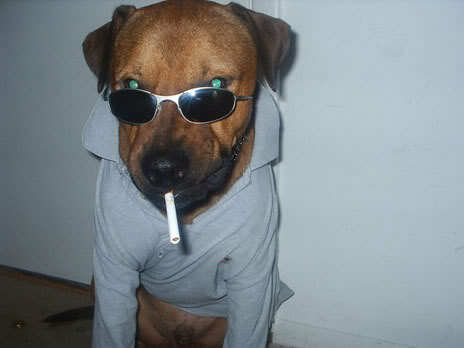 May shorten his dog years, but we’ve all gotta go sometime, may as well go out looking as cool as this guy. Although I did hear smoking is really RUFF on a dog’s lungs. RUFF. See what I did there? Darius A. on Shutter Shades On A Dog?